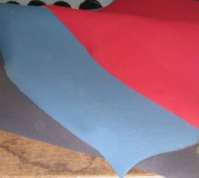 Our OEM quality headliner fabric material is laminated to 1/4" foam backing, and will be 60" width. Our SunBrite headliner is the "number one replacement headliner" available on the market. SunBrite is known for reliable color consistency, metameric color matching, natural stain resistance and is original equipment manufacturer (OEM) color matched. We securely wrap our automotive headliner fabric material around a cardboard tube when it is shipped instead of folding it in a bag. This eliminates any creases or wrinkles in the headliner material and gives a much better final result to your car, truck, van or SUV repair. Comment: First rate from ordering to receiveing. Received order within 4 days from ordering. Comment: Very user friendly and delivered right on time. Comment: I was planing to replace my Toyota headliner, after searching all auto retailers i came a cross ordering from Stocklnteriors,they have the best quality material, i defiantly recommend my friends this company. Comment: I will certainly shop here again ! Thanks !